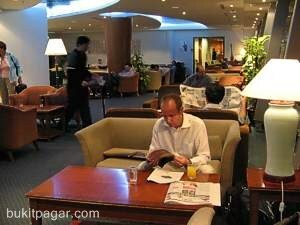 The Plaza Premium Lounge is situated at the Kuala Lumpur International Airport. Even as an economy passenger you can enjoy the luxury of a business class passenger. 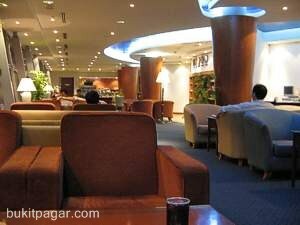 For 18 U$ or RM75 you can enter this lounge. 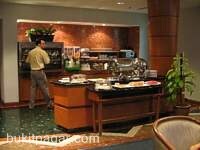 The lounge is located at the Satellite Building that caters for international arrivals and departures in Kuala Lumpur International Airport. The lounge operates 24 hours a day, 365 a year. 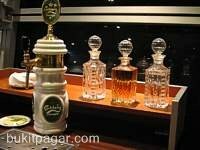 Facilities provided include high speed Internet workstations, a variety of food and beverages, free flow of beer, shower amenities, golf putting, VIP meet and greet services, business centre and secretarial support, and a wide selection of the latest movies and international publications. The local and international buffet fare is freshly prepared by in-house chefs, with year-round food promotions and customized menus to cater for large groups.